Today, I have another simple birthday card for you using the Picture Perfect Birthday stamp set and the coordinating designer series paper. This is such a simple design it can be mass produced quickly. I use A LOT of birthday cards so these types of cards make it easy for me to restock my stash. Switch up the colors and you can have a nice variety. Add a little DSP to the envelope and viola you have a coordinating envelope! 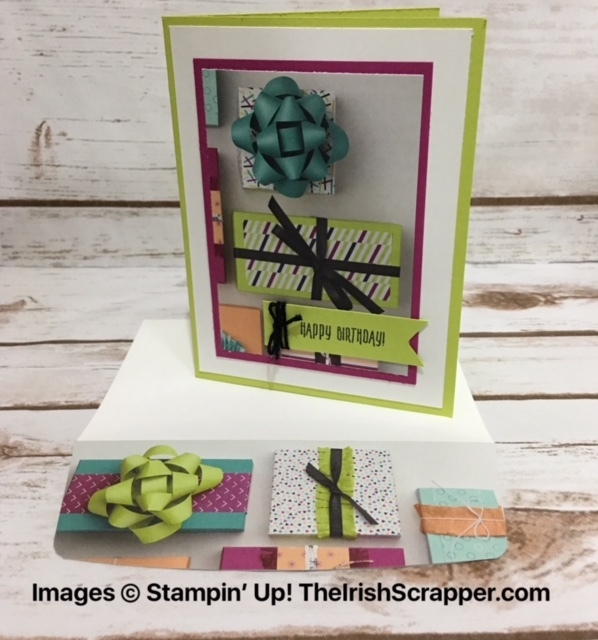 Have you been considering joining the Stampin' Up! family? If so, seriously now is the time! You can get a lot of products with this option and I would LOVE to have you on my team of Lucky Stampers. Learn More About Joining My Team Here!